What to do in Udon Thani, what to see in Udon Thani, where to go in Udon Thani, how to get there - we have all the answers! Welcome to a website built by someone who lives in Udon Thani, and has experienced just about everything you will find in the following pages. I am often out and about, looking for other tourist attractions in and near Udon Thani that may appeal to visitors of this rather quiet city and region in Issan, North East Thailand. We have included attractions that are suitable for all ages (although most are suitable for adults), and in a separate section all the naughty nightlife in Udon Thani, i.e. Bars with bar girls, go go bars, Massage parlours and freelance girls (which is only suitable for adults). The city of Udon Thani, although a reasonable size, does not have much in the way of family attractions, but there are a few places that are worth a visit during your stay. 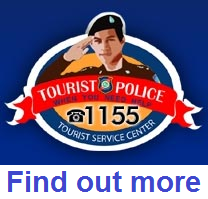 Most of the 'big' attractions are spread out across the Issan district which covers North East Thailand, and most of them are best accessed by car, or a decent motorbike, but definitely not a moped. The top sites include some religious structures of course, with Buddhist Temples playing an important role in the lives of the indigenous Thai people, but there are some museums, animal parks and national parks that are all worth visiting. Some, if not most places are best visited with a native Thai, or someone who has an excellent command of the Thai language. Partly in order to find the attractions, and partly to get answers to any questions you may have about where you are visiting. 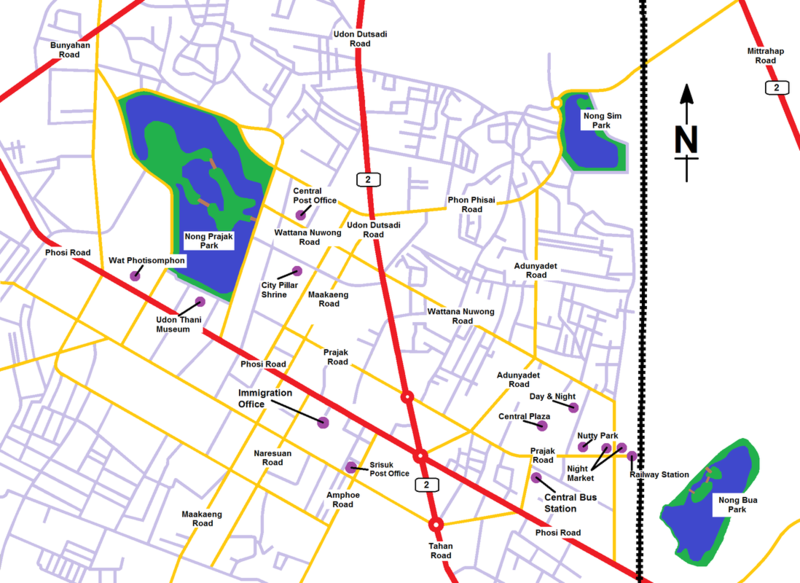 Our map of Udon Thani has been designed to provide you with a general overview of the inner city, and to help you orientate yourself by identifying some of the most commonly used roads and establishments around the city, and their names. Click on map for full size view. This website has maps on most pages to show you the exact locations of attractions, hotels, massage parlours, restaurants etc, so you can see exactly where everything is. Udon Thani is a north-eastern province in Issan, Thailand, which covers an area of about 11,730 square kilometers, where the city of Udon Thani is the principle business center of the region. Udon Thani is located 564 kilometers from Bangkok, and is home to the world heritage site for the prehistoric culture of Ban Chiang. Udon Thani is probably best known for its archaeological wonders, with the focal point at the hamlet of Ban Chiang where the world's first Bronze Age civilization is believed to have flourished more than 5,000 years ago. Udon Thani borders Khon Kaen to the south, Nong Khai to the north, Sakon Nakhon to the east, Nong Bua Lam Phu and Loei to the west. Udon Thani province is located on a plateau which is approximately 187 m above sea level, and much of the area is covered with rice fields, sugar cane, some rubber plantations, forests and hills. 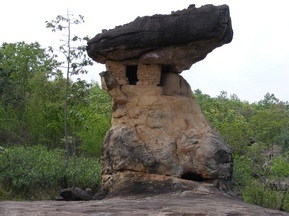 The Phu Pan mountain ranges and the Songkhram River are the provinces two main natural resources. The locals are mainly engaged in agricultural activities with rice and sugar cane farming dominating, and Udon Thani serves as an agricultural market hub or neighboring provinces, in addition to oversees exports. 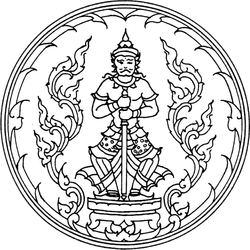 Udon Thani's provincial seal depicts God Wetsuwan, the King of the giants and keeper of the Northern Heavenly Gate. Udon Thani was a small, and sleepy provincial city prior to the Vietnam War, when the United States Forces built and used an air base here. The city began to grow as more and more support was required to keep the base fully operational, and so jobs were created. The Vietnam War transformed the then quiet provincial city of Udon Thani into a booming support center for a nearby US Air Force base. Since the withdrawal of American troops in 1976, Udon Thani has continued to grow as an industrial and commercial center within the region. 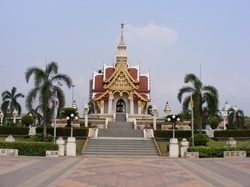 Udon Thani today is the transportation and communications hub of the upper Northeast with several tourist destinations and facilities. From Bangkok, join Highway No 1 to Saraburi, then Highway No 2 to Udon Thani via Nakhon Ratchasima and Khon Kaen Provinces. The distance is 564 kilometers. Buses for Udon depart from Bangkok's Northern Bus Terminal (the Mochit 2 Bus Terminal) throughout the day from 5.00am to 11.00pm. The journey typically takes around 11 hours and there are the cheaper 'standard' buses availble, but it is better to pay a little more for the VIP air-conditioned bus. You can contact Transport Co. Ltd on Tel: 0-2936-2852-66 for more information. There are buses running between Udon Thani and other provinces such as Loei, Nong Khai, Sakon Nakhon, Khon Kaen, Ubon Ratchathani, and Nakhon Phanom. The buses leave Udon Thani Bus Terminal every 40 minutes. Trains depart from Bangkok's Hua Lamphong Railway Station, in the city centre, to Udon Thani every day. The 8.20pm Nong Khai Express from Bangkok (No 69) arrives in Udon Thani at about 6.30 am on the next day. The 'Rapid' trains leave Bangkok on the Nong Khai line at 8.20am, 6.30pm and 8.45pm, with departures from Udon Thani to Bangkok at 6.47am, 6.40pm and 7.20pm. There are three classes of travel. ﻿3rd class is the cheapest and most basic. It is not really recommended for a long journey. 2nd class is a little better and a little more expensive, but still not ideal for a long journey. There are also sleeper cars available for the overnight trains. Call 1690, 022 237 010-20 for more information. All flights take about one hour. To find a flight, please use our search tool, to find the cheapest flights to Thailand from anywhere in the world. 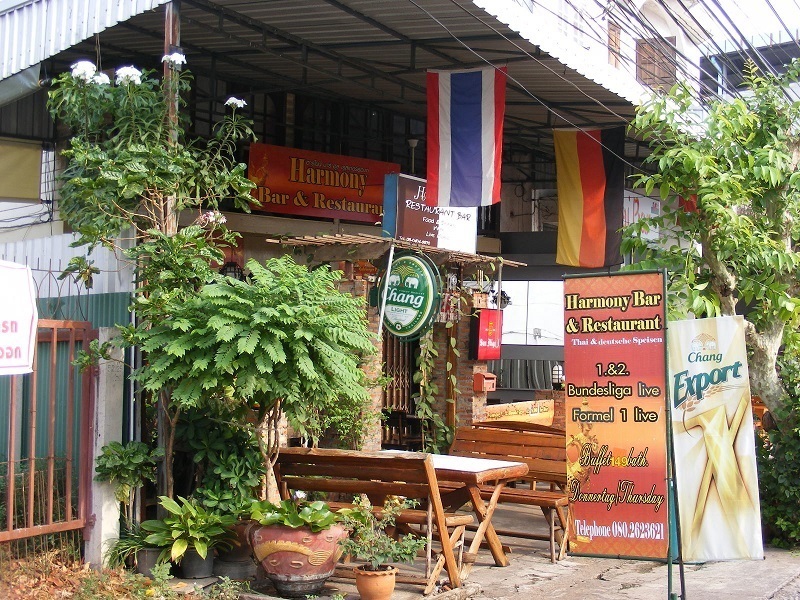 The majority of the places of interest to many visitors is centered around the nightlife area of Day and Night, Nutty Park and the Central Plaza shopping mall in central Udon Thani, so walking is often the easiest, best and certainly the cheapest way of getting around, as just about everything you will want is no more than a 15 minute walk away. However, if you do not wish to walk, you will find plenty of tuk tuk drivers, eager to take you to where you want to go. Some of them have a little English in their vocabulary, but normally only just enough to know what to charge you, and where you want to go. The tuk tuk's though are not very cost effective, and actually quite expensive when you consider how little gasoline they use for a 500m journey, where you will often be asked to pay about £1.00, or $1.50. You can try and negotiate the price down before you jump on board, and I advise you do this every time. By 'submitting' to their asking price, you are driving the price up for everyone else. If you are looking to see more of the city, in heading for the outskirts of Udon Thani, the Songthaew buses are a great option, and are very cost effective. The only downside is knowing where each bus route actually is, and finding out current information is not easy to find. For Udon Thani sightseeing, numbers 7 and 14 will take you to the main attractions on the west side of city, around Nong Prajak Park.